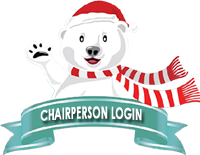 The Dashboard is a customized website created just for our chairpersons with all the tools and reports needed to make your shop the best ever! Access is easy with your tablet, personal computer, or smart phone. A detailed Success Manual is available online for your use. Watch our instructional videos for enhanced training. Customize and print Promotional Materials for your shop from your Dashboard. This includes family fliers, wish lists, shopping lists, and more. Print off your shop's wish list for a Preview Day or to send home share it with families. View your shop's inventory online including gift photos for easier shop set-up. With an internet connection, you gain real-time inventory data – allowing you to easily track how many of each gift items remain after each selling day. We even suggest those items you might reorder for your shop the next day. Our report function creates your end-of-day and end-of-sale reports automatically. 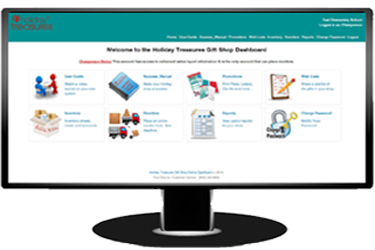 No need to ever count your unsold gift inventory, and no adding on a calculator is necessary. This function requires an internet connection during your shop.